​Hello Everyone, It's Abdulrahman With new hot Airtel cheat to grab. It actually been a while now well, I am back with something new for you guys to enjoy. It's free browsing Cheat this time around. (Free VPN proxy) Amaze VPN - Faster, More smooth, and easier to use. It is the best app for Unblock sites. Amaze VPN is the most trusted security, privacy and access platform with top performance on speed, stability and security. 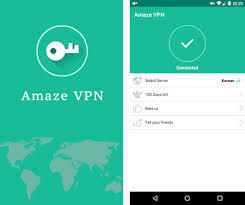 Amaze VPN gives you true online freedom – bypassing geo-restrictions and accessing world’s content from anywhere, with just one tap..
✓ Easy - Auto vpn connection. Non USERNAME, Non PASSWORD, Non REGISTER! Due to blockage in the unlimited Airtel 0.0k via various VPN this earlier year. FOLLOW THE INSTRUCTIONS BELOW CAREFULLY TO START BROWSING WITH YOUR AIRTEL LINE FOR FREE. Download Amaze vpn from play store or:- Here And Open it. Stay Connected To Realitytechs.com.ng For More Updates. Don't Forget To Drop Your Comment And Share This Post With Friends.